Avilius has delivered the crowning performance of his ever-more illustrious career with a dominant breakthrough victory in Saturday’s G1 Ranvet Stakes at Rosehill. For the former French-trained middle-distance performer it was his seventh Australian win and his first at the elite level. It also came off the back of a disappointing effort in the G1 Australian Cup at Flemington two weeks earlier when he looked the winner only to fade into fifth place. But on a heavy track at Rosehill, Avilius showed his true form, justifying the faith of his trainer James Cummings and the devotion of his team. “I just knew we could get this horse to improve for this race,” Cummings said. “We had him cherry ripe for today and I’m very impressed for the team. 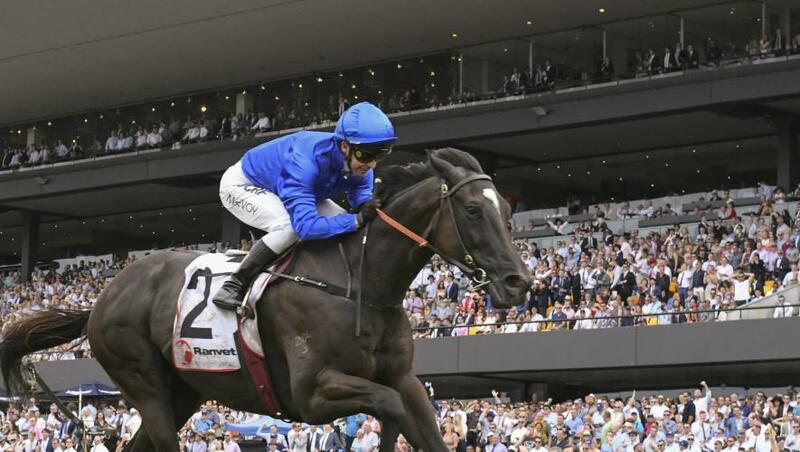 Avilius had been a revelation, even in a stable as classy as Godolphin’s Australian operation. But Saturday’s win took him to a new level both literally and figuratively. For Cummings it was his 10th G1 win since taking over as Godolphin’s head Australian trainer in May 2017 and his fourth for the current season. But he deflected praise, preferring to praise his team at Osborne Park in New Sout Wales and Carbine Lodge in Melbourne. “This horse has done a fantastic job, he’s three-from-four this preparation and a really good example of what these guys can do,” he said. “He had to turn around a disappointing effort in the Australian Cup and not only that, he had to arrive here at a track where there was plenty of talk about how difficult it is to make ground. Allowed plenty of time to find his feet by Jockey Kerrin McEvoy, Avilius settled close to midfield in the 14-runner field, setting out after the long-time leader, He’s Eminent with 400m of the 2,000m race to run. At the 200m He’s Eminent still held a to length lead, but Avilius was lengthening stride, claiming the lead 100m out and forging to a 2-1/ length win. DanzdanzDance ran on well to finish third a further long neck away. For McEvoy, whose stellar season includes the G1 Melbourne Cup win on Godolphin’s Cross Counter, the win continued an outstanding run. “He enjoyed getting onto some softish ground hereafter finding a firmer track at Flemington,” McEvoy said.